YouTube Video Break + Super Sale on Prints! I just have a small inventory left from my big art opening in March so I've lowered the prices as a fundraising effort to purchase a better quality video editing program and harddrive to store all the amazing movies I want to create for my lovely YouTube fam! Hear the details below and then pop over to my Shop to grab a print before they're gone! 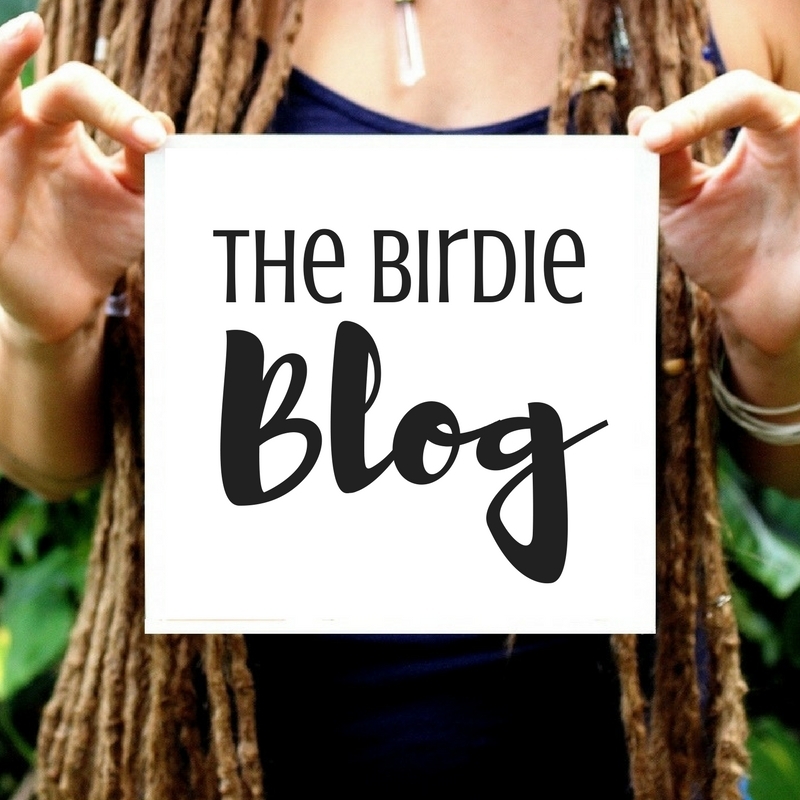 I honestly may not be getting more printed in the future so don't miss out on some high quality Birdie art! My bright and lush Bohemian Goddess prints are printed on high quality, extra thick 290 GSM Moab Bright acid free paper. This is a gallery standard, archival print with a 100+ year life expectancy for both the colorfast ink and the paper. Snag a print + surprise sticker here! I always like to do a color test for my prints before offering them for sale, and it's definitely a relief when they come out well the first, or even second, time. It can get pricey having to tweak over and over again! I did have a lil 'print unboxing malfunction' but it's nothing that wasn't totally this goober's fault and I was able to remedy it soon enough. Enjoy! Hi friends! As you know I have been working so hard over this last year and a half on my beloved Bohemian Goddesses collection which has afforded me so many opportunities to connect not only with my muses from all over the world, but also viewers of my work as well. I have been so thrilled and honored to have numerous folks tell me that they have felt inspired and represented by my culturally rich group of creative and strong female subjects and I look forward to continuing to create more works that really speak to the soul. So have a little listen and reflection on why I have decided to conclude this powerful series and what it has meant to my development as an artist, plus get a little teaser on the new and exciting oil painting series I have in the works! ....Or better yet, they're my 12 calendar women! You can watch my goober-y self get all wide-eyed while I unbox and see the calendars for the first time! Excitement! Only 22 bucks with free US shipping >here< Hot dang! Hi friends! 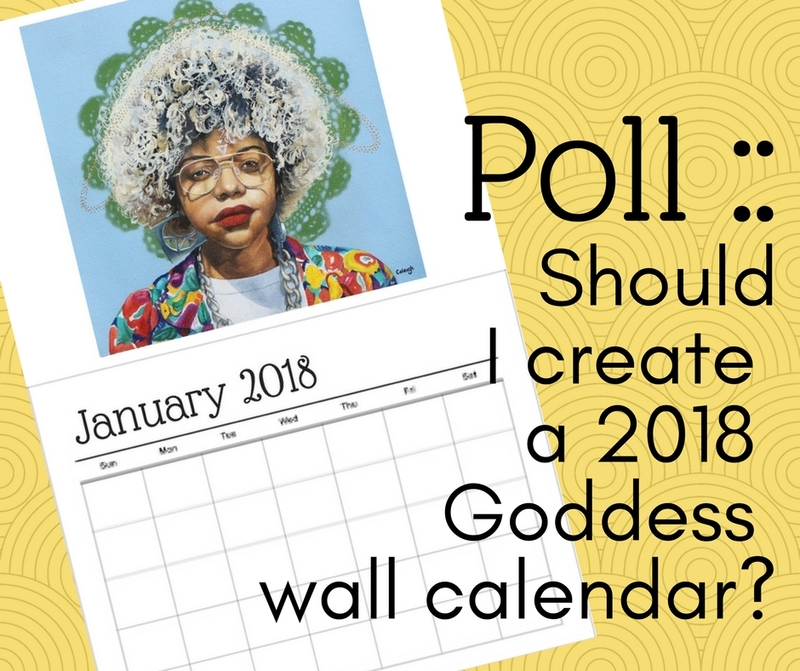 I'm taking a poll and I'd love your opinion on a potential upcoming art project decision: Should I create a limited edition 2018 monthly calendar of my Bohemian Goddesses? I was just counting the squad and realized I am days away from finishing Goddesses 11 and 12.... and then it dawned on me.... what else comes in a set of 12 and requires artsy decoration? Why a monthly wall calendar of course! Luckily I found a pretty good website that can create 50 calendars for a decent price if I order in the next few days so I need to make a decision asap. And with this company I would be able to price them at $25 or less (including shipping!) which will make these a great way for folks to get a nice collection of my recent works! Or, if you're like me and don't wanna add any steps, just drop me a comment here. A simple 'yay' or 'nay' will suffice - short, sweet and to the point! Thanks for the input!